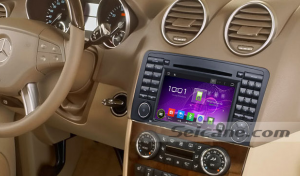 First shows you an intelligent 2006-2014 Mercedes Benz R Class W251 car stereo from Seicane. It looks pretty, doesn’t it? 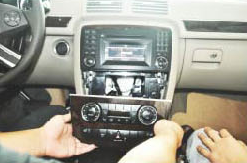 To replace your factory radio with a new aftermarket car stereo can bring you much convenience an fun. Therefore, many car owners have a successful upgrade in their car. 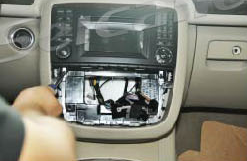 If you have a Mercedes Benz R Class W251 and want to upgrade your factory radio, a correct installation guide can be helpful for you. 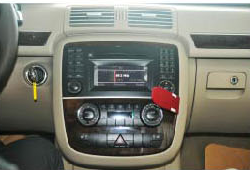 If you also have the same dashboard as that shown in above, then you can read this 2006-2014 Mercedes Benz R Class W251 car stereo installation guide as a reference to help with the installation. 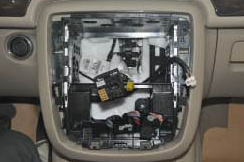 Before the installation, it’s suggested you read the installation guide and user manual carefully first so as to make clear how the cables are connected. Next do it step by step as the instruction shows. If you have any questions, you can ask your dealer or a professional for help. 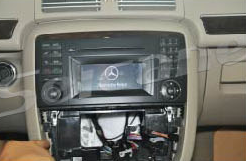 This modern Mercedes Benz R Class W251 car stereo can support an optic fiber decoder. 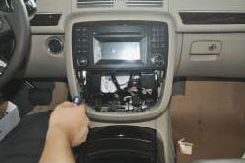 If your car is in the manufacture year from 2005 to 2012 and comes with an optic fiber, you can install a decoder to make it and all your car speakers work. The installation is quite easy. And the sound quality is very high after installing the decoder. The latest GPS can provide text-to-speech guidance to direct you to your destination. The wireless connection with compatible Bluetooth-enabled devices via Bluetooth technology allows you to have hands-free calls and streaming music. Your steering wheel control can still work after installation. Go on all trips with this amazing Mercedes Benz R Class W251 car stereo and you’ll just love all your journeys in the future!